Last week I was asked if I could solve a issue at a customer, they where patching all of their ESXi hosts. Only they ran into a host which refused to go in to maintenance mode, the reason for this was a VM which didn't vMotion to a other host successfully. Basically, the vMotion task timed-out. When they investigated the error details a more specific error description. 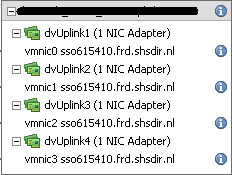 It looked like there was something wrong with the network adapter installed in this specific VM. But when the configuration of this VM was checked it turned out that it had the customers default network adapter installed, VMXNET3. Having a second look at the VM configuration, the Guest OS was set at Windows 2003 standard for some odd reason. After all this VM was running Windows 2008 R2 Enterprise. 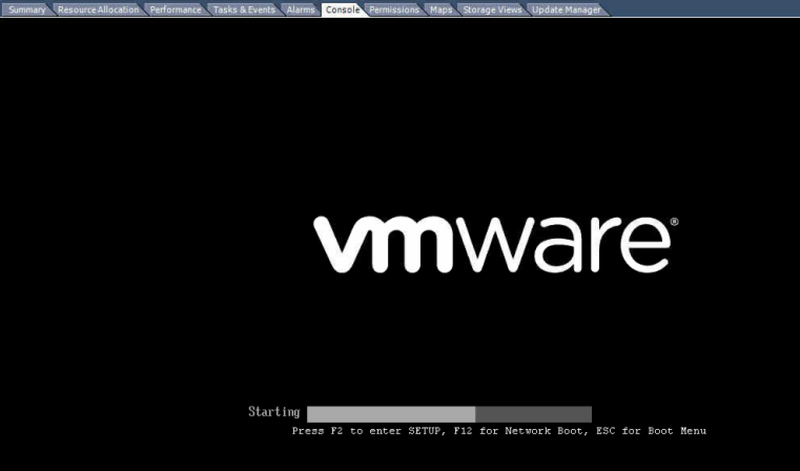 After shutting down the VM and correcting the Guest OS, the VM was powered-on again. Now the VM could be vMotioned without any issue. Already knowing that it is important to select the proper Guest OS to have VMtools install correctly and to have the right default virtual hardware presented to the VMs OS. There is a extra reason to pay extra attention to choosing the right Guest OS for a VM. If you want to read more about the impact of a mismatched Guest OS selection, please read this blog post of Frank Denneman. In this blog post you can also find a PowerCLI "one-liner" by Alan Renouf to quickly scan your environment for mismatched Guest OS. Over the last couple of years I have been attending VMUG meetings, they are all interesting although some have more interesting sessions than others. I always found the Belgium VMUG to have very good sessions. The upcoming meeting promises also to be a good one, especially if you are into EVO:RAIL, VSAN and/or NSX and missed VMworld. Please check out the details below ! For those who are attending this VMUG meeting, see you November 21! Why would you go to VMworld Europa when all new product releases and most other revelations already where shown at VMworld US ? VMworld US is the bigger event, more days, more sessions and a bigger venue. The answer is simple if you ask me, when a new product (version) is introduced there is not always all technical info available on this product. For instance at VMworld US EVO:rail was introduced and at VMworld Europe there are at least three sessions scheduled, with one of them being a technical deep dive (the kind of session you want to attend to right?). In short; EVO:rail is a management layer on top of the usual vSphere tools, wizards are what make this management layer standout. And it will only be bundled with standardised hyper converged hardware build by selected vendors. 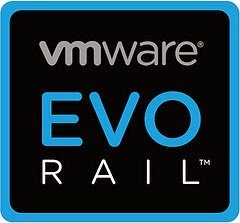 EVO:rail is based on Enterprise plus licensing and also has VMware's Log Insight "build-in". For some of the announcements it takes some time to sink in or get your head around, like for instance VAIO I/O filters, it has been announced at VMworld US. You can read some info about it on this blog post written by Cormac Hogan. At first it did not attract my attention immediately, only after reading press releases and some blog post (like Cormac's I got interested. If I had been at VMworld US, I would probably have skipped sessions regarding VAIO. But with the extra info I now have, I put a VAIO related session on my "must see" list. Please check out my blog post "My take on interesting sessions @VMworld Europe" for my complete "must see" session list. I am planning on writing more on EVO:rail and VAIO (amongst other topics) during and after VMworld Europe. Like most VMworld attendees I also have been busy building my session schedule. This can be a rather time consuming task. There are so many sessions to choose from, there is also the Solution Exchange, Hands On Labs (HOL), Certification possibilities and meeting up with peers at the Hang Space. You can fill up your entire schedule with sessions, but that would leave you very limited time to engage any (or all) of the activities mentioned above. There are numerous blogs where the writer has presented it's "must see" sessions list for VMworld, although most of those lists refer to the US edition a lot of the sessions will also be presented in Europe. I suggest you look at some of those "must see" lists, mine is at the bottom of this post and make a selection out of the "must see" lists and the complete VMworld catalog taking in account your interests / work field. After I would make a selection of session the you want to see live (sessions like "ask the experts" or "The vExpert Storage Game Show" you have see live because of the interactive nature of these sessions) and which you could optionally see later online. When you make this selection it will free up time you can use to attend to the other activities as mentioned above. 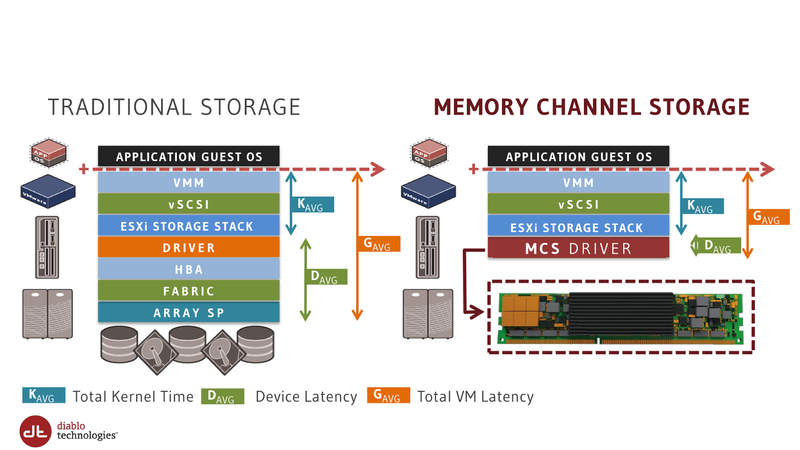 INF1864-SPO - Software Defined Storage - What’s Next? I hope you will enjoy this year's VMworld Europe edition, I know I will for sure !! Last week VMware hosted a vExpert only Webex event. The topic was VMware's network virtualization NSX with a focus on (micro)-segmentation. The main presenter was Scott Lowe, he explained what management and security benefits micro-segmentation in can bring in general. Especially how you could keep a secure micro-segmented network environment manageable by leveraging NSX. With traditional firewall and routing solutions, network isolation or segmentation on a per business unit, per vApp or even a per VM granularity quickly becomes a painstaking management task which is on top of that very prone to error. By using NSX and deploying multiple virtual firewalls and routers (as much as the environment needs to meet the customer and/or security demands) which can al be managed from one central interface, takes away the "pain" in managing this environment. And in addition most firewall / segmentation configuration is policy based, by defining the needed policy's specific to the customers demands and applying them where needed (business unit, vApp or VM) it also mitigates the error factor enormously. Not having any hands-on experience with NSX is a customers production environment, this presentation gave me a clear view on how to apply NSX in a environment where micro-segmentation is needed whether the business requirement is security related or otherwise related. So if you are attending VMworld (US or Europe) make sure have some sessions around NSX in your schedule. To hear for yourself about all the awesomeness NSX is bringing !! No Limits is the theme for 2014 VMworld, this certainly goes for network virtualization with VMware NSX. Yesterday late in the evening I received a email from Corey Romero of VMware, the subject of the email "Welcome to the 2014 vExpert Program!". That was a great way to finish the day ! I’m thankful to be awarded the vExpert award in 2014. The VMware vExpert program acknowledges the people within the community that have contributed into evangelising virtualization as whole. It feels great to be part of that group and in my day to day role as Consultant as wel as my role as blogger I will hopefully be able continue to contribute to the community. Today I got asked by a VMware admin at a customer how he could prevent or maybe schedule storage rescans. He asked me this because he was adding 25 new datastores to 12 ESXi 5.1 hosts in a existing cluster and every time he added a datastore a rescan of the HBA adapters is automatically initated. As the cluster already was under a pretty heavy workload, the "rescan storm" started by his actions were having a impact on the performance on most of the VM's running in the cluster. As far as I know it is not possible to schedule storage rescans, I don't see any added value to such a feature anyway. But what is possible is disabling automatic host rescan of HBA adapters, this is done on a vCenter level with a advanced setting "config.vpxd.filter.hostRescanFilter" together with the value "False"
One very important thing not to forget, change the value of the advanced setting to "True" as soon as you have finished adding the datastores ! Recently I was working on a project which consisted of adding new hosts to a existing vSphere 5.1 environment. As the form-factor and specs where far from what the customer already had in-place, the new hosts were put in new HA-clusters. Because the new hosts have 4 10GbE NIC's, the virtual networking design had to be re-designed. I designed one Distributed Switch for all traffic and for all clusters, regardless of the purpose of the clusters. Security wise this was agreed on by the customer, they only needed logical network separation in the form of VLAN's. This would keep the design and also the physical network configuration fairly simple. One of the customers' requirements was that the pace they could vMotion should be a lot higher then on their current hosts, having a large amount of hosts they wanted hosts to be able to go into Maintenance mode quickly. They also wanted to speed up the patching and updating of the hosts by Update Manager. So within the Distributed Switch design I added the use of multi NIC vMotion, I got a lot of information from the blogs of Frank Denneman and Duncan Epping especially these two blog posts How to setup Multi-NIC vMotion on a distributed vSwitch and Multiple-NIC vMotion in vSphere 5…. Of course NIOC (Network I/O Control) is also used to control / guarantee required bandwidth to the various sorts of network traffic. Because the new hosts will use a newly created VLAN for vMotion, but the current workload needs to be moved from the current hosts to the new hosts (by the use of vMotion to prevent VM down-time) there is a challenge, vMotion traffic does not route! A simple solution to this is temporarily using a extra VMkernel interface for vMotion traffic which is in the VLAN that is also used on the current hosts for vMotion and removing this after the workload is completely moved. All of the multi NIC vMotion VMkernel interfaces were created by the use of a PowerCLI script, which you can find in a this previous post. The temporarily created vMotion VMkernel interfaces on the other hand were done manually and on one host something went wrong, not sure what but it looks like a duplicate IP was used for the interface. So to correct I first removed the VMkernel interface, so it would not interfere the environment anymore. After I saw that there were more IP related issues on this host and at some point the host lost its connection to vCenter, I used both a direct vSphere client to host connnect as well as the DCUI to straighten things out and get at least the VMkernel for management back up and running with the correct IP. Now keep in mind this is still all on the Distributed Switch, so when the hosts successfully re-connected to vCenter it had a error the Switch configuration was not in sync with vCenter. This synchronization takes place every five minutes usually, after some time passed the error went away and all was good. So I could start to re-add the VMkernel interfaces for multi NIC vmotion, I ran my script and this resulted in error's. I tried to add the VMkernel interfaces manually, but this also resulted in error. It looked like I would not be able to sort this out from the vSphere client and a the quick fix from VMware I found on the internet was to restart the vCenter service, not a possibility at the time for me. So I resorted to the CLI and esxcli. So there indeed are not one but two VMkernel interfaces, only one shows up in the vSphere client. If you look at the output you see that vmk1 has Enabled:false this is probably why its not visible in the vSphere client. Problem looks solved, after I was able to re-add the multi NIC vMotion VMkernel interfaces again witout any problem. In the end all it took were a couple of esxcli commands. When a VM is orphaned, usually I check on which datastore, cluster and folder the VM is placed. Then I remove the VM from the inventory and add the VM again through the datastore browser (or by using PowerCLI, check at the bottom of this post). Lately I am seeing orphaned VM's at a customer that cannot be (re-) added because the .vmx has a lock on it by a other process / host. vCenter "thinks" the VM is still active on this host, when trying to go in to maintenance it will stop at 80% when you send a shutdown command to the host on the DCUI it will notify you that there are still VM's active on it. 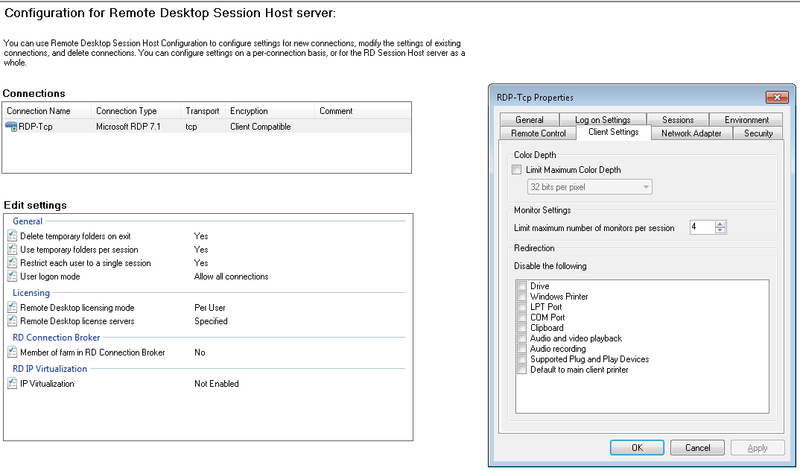 And from the VM' standpoint it is still active, the VM will still be running and accessible by RDP for instance ! But when you look at esxtop on that host and look at all the VM process still running, there will be no VM process active. A quick and somewhat dirty way is to get the host to go in to maintenance mode, most of the time this will stall at eiher 65% or 80% at this timt you will see the only remaining vm on this host is the orphaned VM, login to the DCUI (or use Powercli or CLI) to send a reboot command to the host. 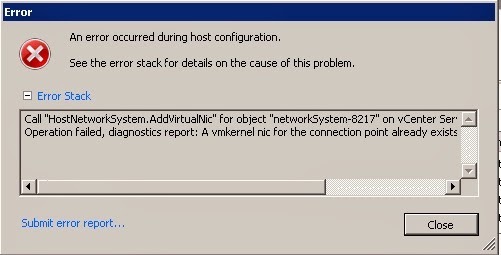 The host will tell you that you still have active VMs on it, ignore this and have the host reboot anyway. The VM will be forcefully powered off. After the reboot, you will find the host in maintenance mode with 1 powered-off VM present, this was the previously orphaned VM. 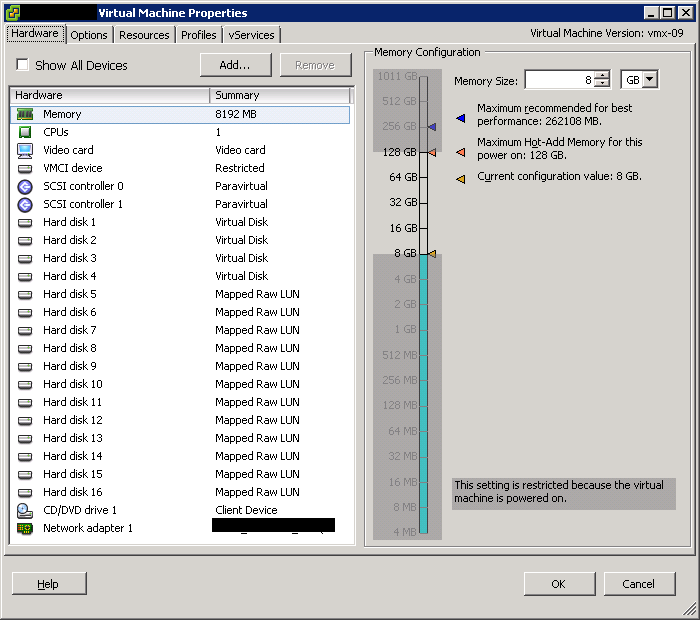 Take the host out of maintenance mode and power-on the VM, it will probably boot normally and if used DRS will move some VM's to the host to balance out the HA-cluster the host is in. The method described above is as mentioned before a "quick and dirty" way and should be a last resort option in my opinion as it results in outage eg. downtime for the VM in question. So before you go with this method make sure that there is other way to resolve the issue, for instance if there is no lock on the .vmx you could easily re-register it to vCenter without any reboots needed. If you need to do this for a larger number of VM's than have a look at one of my previous posts "VM's grayed out (Status Unknown) after a APD (All Paths Down) event on NFS datastores". VMUG meetings are always interesting and I think that the NLVMUG are getting better sessions since they joined the global VMUG. Please check out the details in the link below ! 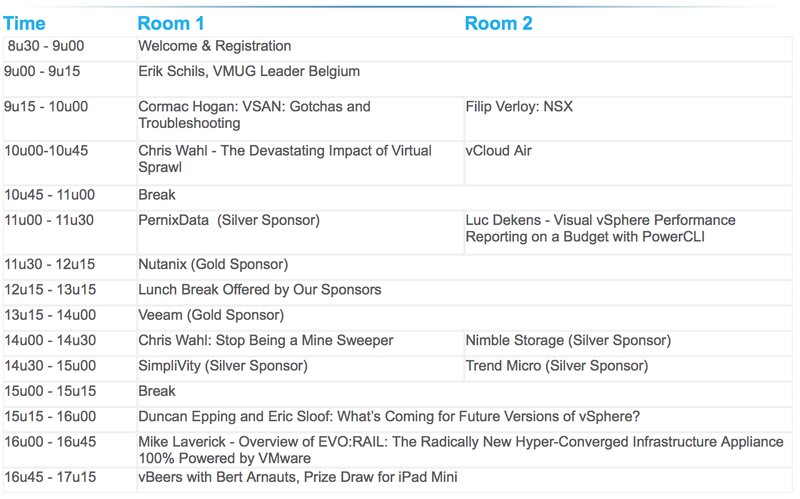 For those who are attending this NLVMUG conference, see you March 6th !